We’ve come a long way from the days of MySpace walls and sparkly gifs. And social media has grown from an internet time-waster to a multi-billion-dollar marketing and advertising giant that you can’t afford to ignore. But the importance of social media doesn’t mean you should jump onboarding and start posting right now. Like any business decision, you need to develop a clear social media strategy before you start investing time and resources. Today, I’ll go through the six steps of crafting a social media strategy. By following these steps, you’ll be positioned to see social media success from day one – instead of wasting months with a trial-and-error approach. Each step can be scaled up or down, depending on the needs of your business but the basic structure remains the same from the local shop to an e-commerce site. Beneficial: Your social media goals should, at the end of the day, drive revenue for your business. 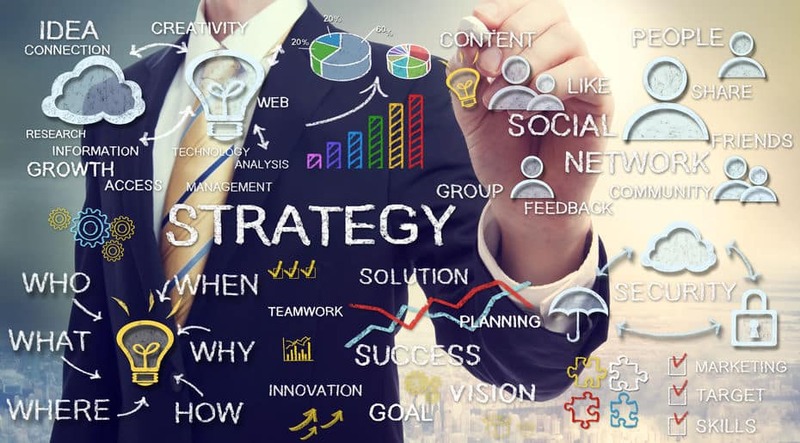 That doesn’t mean that every post needs to bring in sales, but the overall strategy needs to be built to increase the profitability of your company. Achievable: This doesn’t mean safe; you can set ambitious goals that will take a serious grind to achieve. But your goals should be within the realm of possibility. If you’re selling $3 jewelry on Etsy, making 10 million in sales might not be the right goal. Measurable: Measurable goals allow you to track your successes and failures. Non-measurable goals can be incorporated into a larger strategy, but you should start with goals that you can track, chart, or measure. So, what sorts of goals can you set for your social media strategy? When it comes time to set your goals, dig deeper than the typical likes and vanity metrics. Depending on your specific business needs, goals could include brand awareness, customer loyalty, or increased sales. Whatever your specific goals, sit down before you get started and commit your goals to writing. This will help you measure your success in the later steps. Once you have specific and measurable goals in mind, the next step is to establish detailed target audience personas. The combination of written goals and clear audience personas will shape the rest of your social media strategy and so it is important to spend enough time on these early steps. Take the necessary time to craft high-quality audience personas, but also, don’t hold them too closely. As you get deeper into your social media campaign, don’t be afraid to return to these personas and tweaked them based on the data. Your audience personas will always be a work in progress, but this step will get you started in the right direction. Many businesses new to social media marketing try to bite off more than they can chew. They’ll set up accounts on Facebook, Instagram, Twitter, Pinterest, and Snapchat; only to quickly realize that managing five social profiles is nearly a full-time job. Maybe one day your business will grow and you’ll have the resources to dedicate toward a comprehensive social media plan. But if you’re just getting started, then that is probably not the case (yet). Facebook: It’s still the big boy on the block and a great place to get started in the world of social media marketing. Facebook boasts a broad spectrum of users – but is strongest in the 25+ demographic. 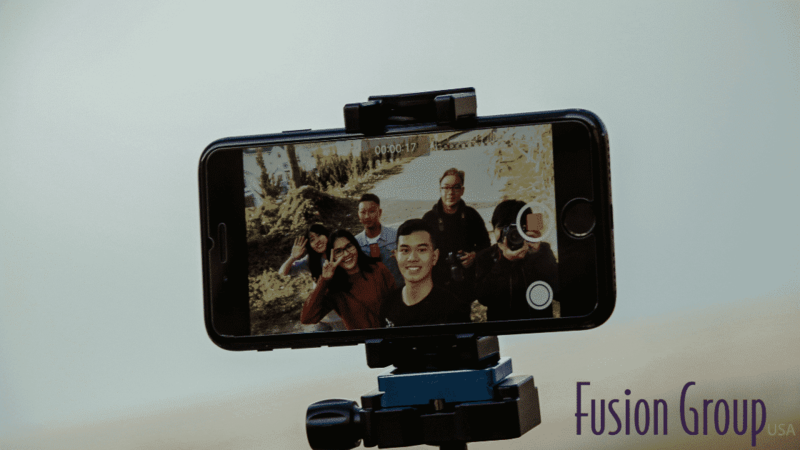 Instagram: One of the fastest growing channels, Instagram is a perfect fit for businesses that excel at visual content. Fashion, lifestyle, and gear brands all have found a welcome home on Instagram. Twitter: Twitter provides fast and (relatively) easy reach all across the globe. While not always the best for local businesses, it provides a great tool for content heavy brands like software-as-a-service or tech companies. LinkedIn: The ‘professional’ social media, LinkedIn is a great place to find qualified leads for B2B sales. It’s a crowded place to try to sell, but with the right content strategy, LinkedIn can be a powerful tool that drives sales. Snapchat: The polar opposite of LinkedIn, Snapchat is great for reaching the under 25 crowd. There are plenty of pitfalls (authenticity being the chief) when looking at using Snap for marketing, but it can pay off if it fits your target audience persona. A KPI is a key performance indicator. KPI’s are related to your goals but they are the specific ways you will measure your relative success or failure. Identifying and tracking your specific KPI’s is critical to the success of your social media marketing – but it is a step that many businesses skip, thinking they can address the issue later. The determine your KPI’s, look back at the goals you established in step one and determine the best way to measure success. If your goal was to increase your brand reach, you should track website traffic that comes from your social account. If your goal was to increase engagement with your brand, then you should track link clicks and shares. And if your goal was to increase sales, then you should track leads, sign-ups, and conversions. Now that all the preliminary work is done, the real fun can begin: content creation. But before you jump in with both feet, you should have a clear brand identity that will shape your content – from images to blog posts – in a consistent way. But as you are creating this content, it is vital to keep in mind that your posting to social media. It isn’t enough to just shout promotional content into the void – you need to be engaging, conversational, and social. Creating engaging content will get your brand in front of your customers (because most social media channels prioritize content that creates engagement) and will also build community around your brand. Once you’ve finished steps 1-5, you might be tempted to think you’ve mastered your social media strategy. But the truth is that you are never done with social media marketing. Once you have some content under your belt, it is time to step back and track your successes and failures. Using your goals from step one and your KPI’s from step four, you can see if you are reaching the benchmarks that matter to your business. So many businesses skip this step and just hope that their social media strategy will end up paying off. But tracking your results is essential to creating a sustainable and profitable social media campaign. If you are falling sort of your goals, work back through the steps above and refine your strategy using your existing data. Building long-term success on social media takes clear planning, hard work, and a commitment to seeing it through the slow times. 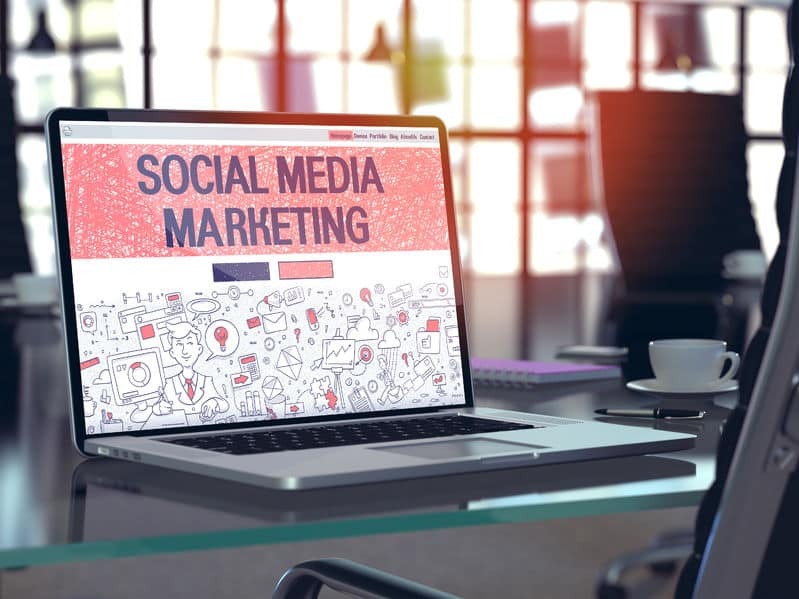 Investing in the long game of social media marketing will bring increased conversions, customer loyalty, and establish your brand as a leader in your industry. But doing social media the right way takes a serious commitment of time and resources. For an already busy business owner, looking to invest time in social media every day might seem impossible. If that applies to you and your business, consider hiring an agency that specializes in creating lasting social media success through careful planning, custom content creation, and in-depth analytics. At Fusion Group USA, we have built successful social media strategies for businesses of all sizes. Contact us today to learn how we can help your business grow through long-term social media marketing.